Lenovo consolidates its position as a leader in the laptops segment, posts 23 percent increase in profit in the first fiscal. Tech giant Lenovo has seen a 23% jump in net profit driven by strong laptop and smartphone sales. The company maintained its status as a market leader for PCs with an increase of 20 percent in market share when compared to last year. 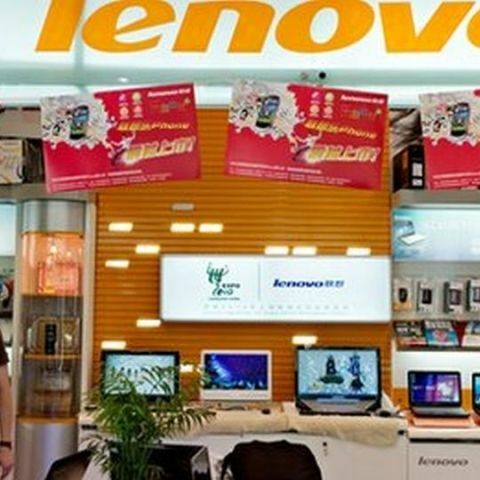 Lenovo's core laptops business saw an increase of 12 % in the June quarter, while the industry was in a downturn. The company's net profit rose to $214 million, while revenue jumped 18% from the previous year to $10.4 billion. Lenovo's personal computers and accounts business constitutes 49% of total revenue in the quarter up to June. In a statement which accompanied the earnings release, Lenovo Chairman Yuanqing said: "This has been a quarter of milestones for Lenovo - record PC share, a number three ranking in worldwide tablets for the first time and an even stronger number four global smartphone position." Lenovo also has ventures in the "Mobile Device Business" including smartphones and tablets. The company reported that for the first time it sold more smartphones than PCs. Lenovo shipped 15.8 million units, a gain of 39% from the previous year. Mr Yang said: "Lenovo continues to outperform the market and meet our commitments to improve profitability in our core businesses, while building strong pillars for future growth across our entire portfolio." The tech giant acquired IBM's low-end server unit earlier this year for US$2.3 billion and is also in the process of acquiring Motorola's handset business from Google in a US$2.91 billion deal. The deals may be finalized in the third quarter of this year, according to industry experts. Lenovo stated that it is "well prepared for the coming integration. As the PC industry recovers, the smartphone market continues its shift from premium to mainstream, and our acquisitions of Motorola Mobility and IBM x86 proceed toward completion, we see even more opportunity to keep growing rapidly."